A new year brings a new you! Healthy living can be more than a resolution, it can be a way of life. 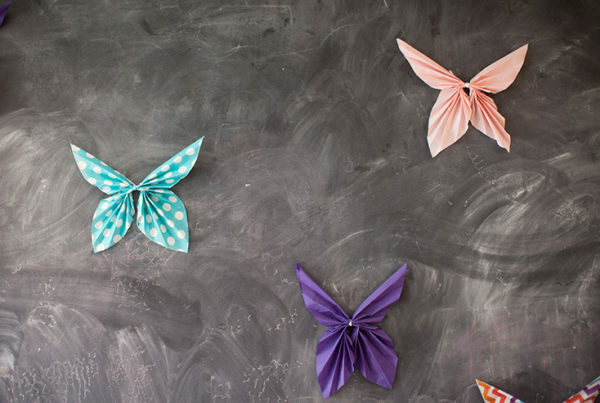 Make a few subtle choices and over time, you can make a big difference! Did you know that 75% of Americans are considered chronically dehydrated? 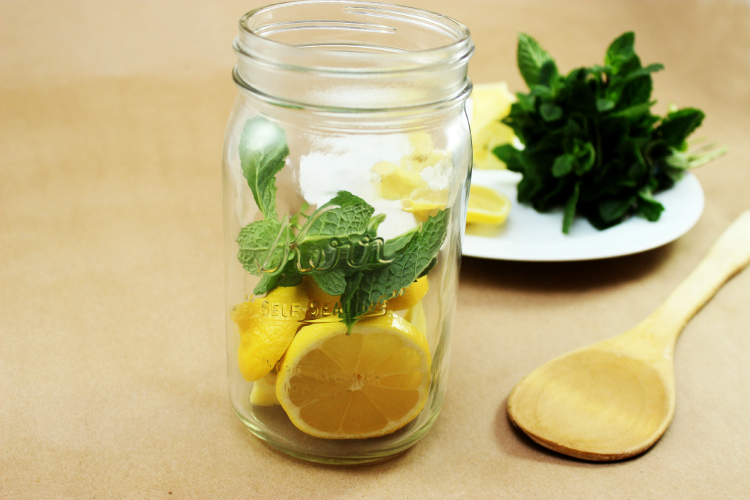 Flush those pesky toxins in your system using our DIY Detox Waters recipe list! After weeks and weeks of rich food, the holidays can catch up to you! 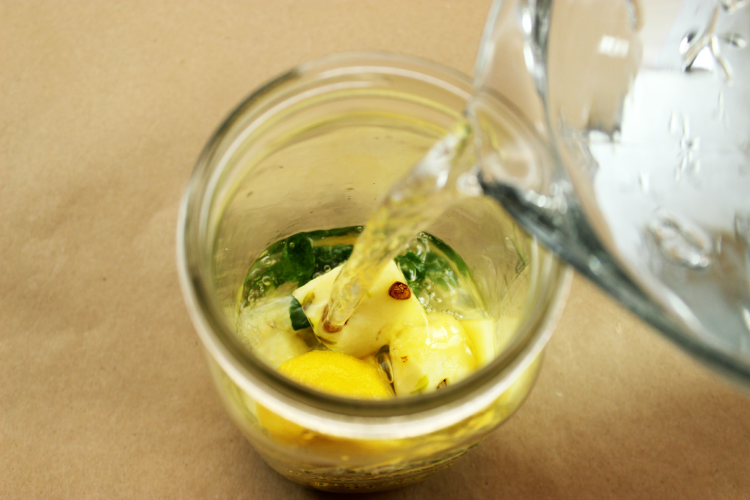 Why not add some simple Detox Water to your diet? 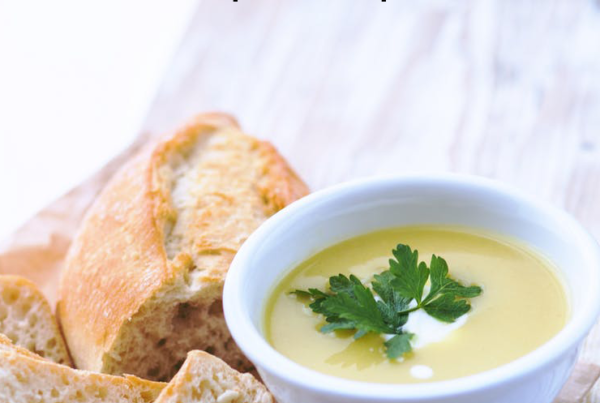 It’s an easy and delicious way to get back on the right track. Why detox? 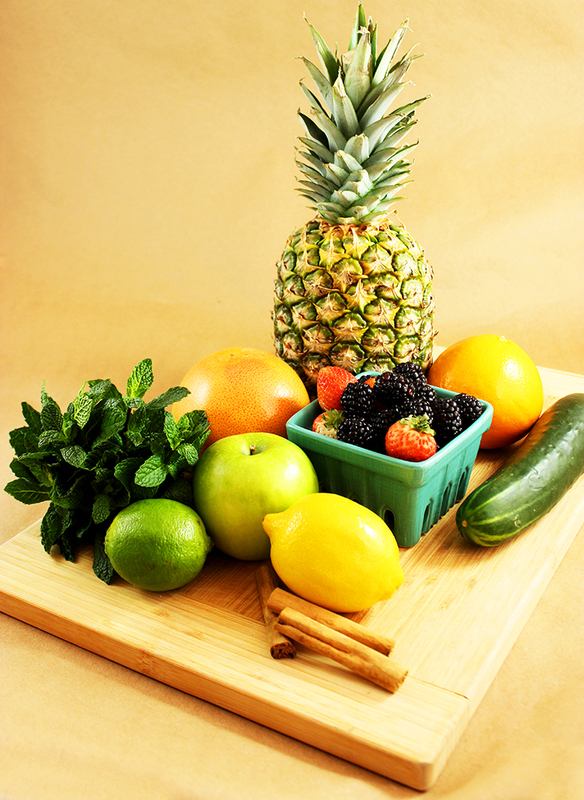 Detoxification is an internal cleaning out of the body. Just like we like to clean our homes out after the holidays, it’s a great idea to get a fresh start to the New Year and clean out our body as well. A clean and healthy body just feels better. 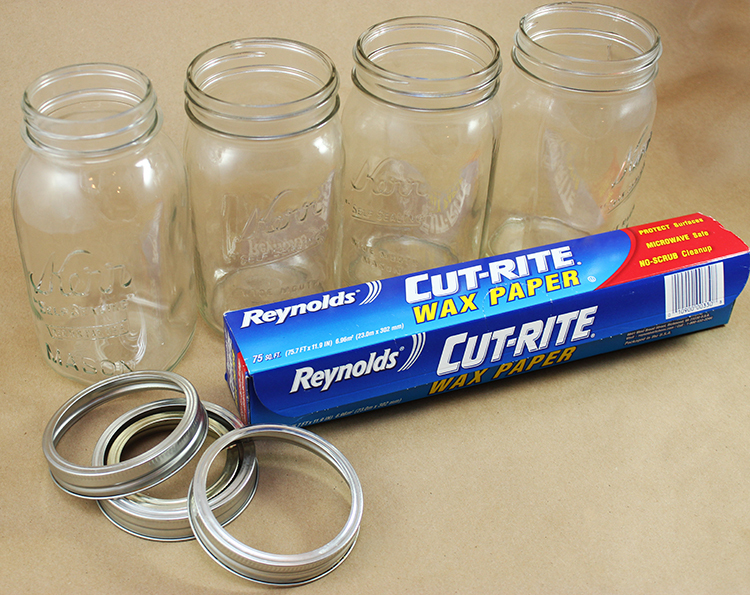 Helpful items to have on hand are mason jars (and their rings) or a large pitcher, wax or parchment paper, cutting board, knife, and scissors. 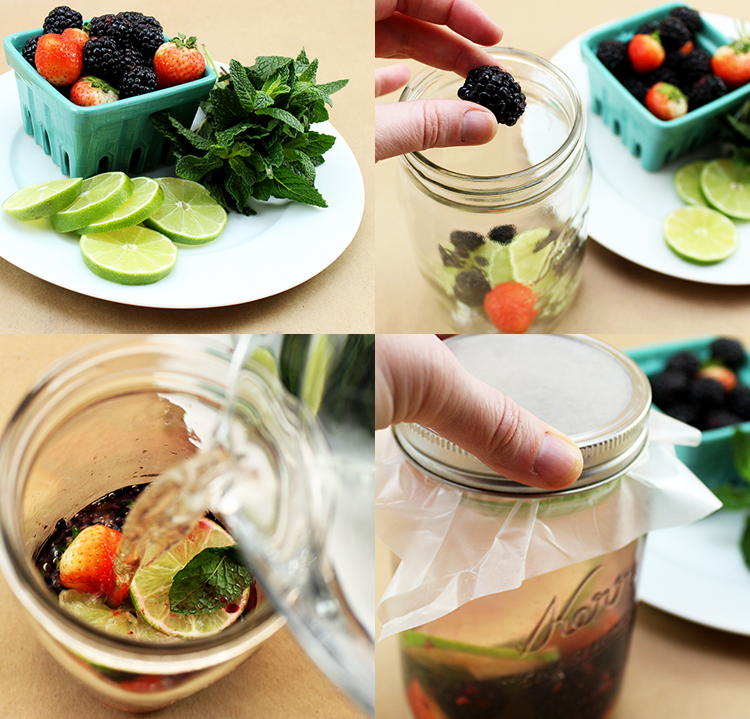 To begin, choose the fruits for your DIY Detox Water. You could use one of our tasty suggestions, or you could create your own. Wash your fruits really well using lukewarm water. Make sure that you remove any stickers. 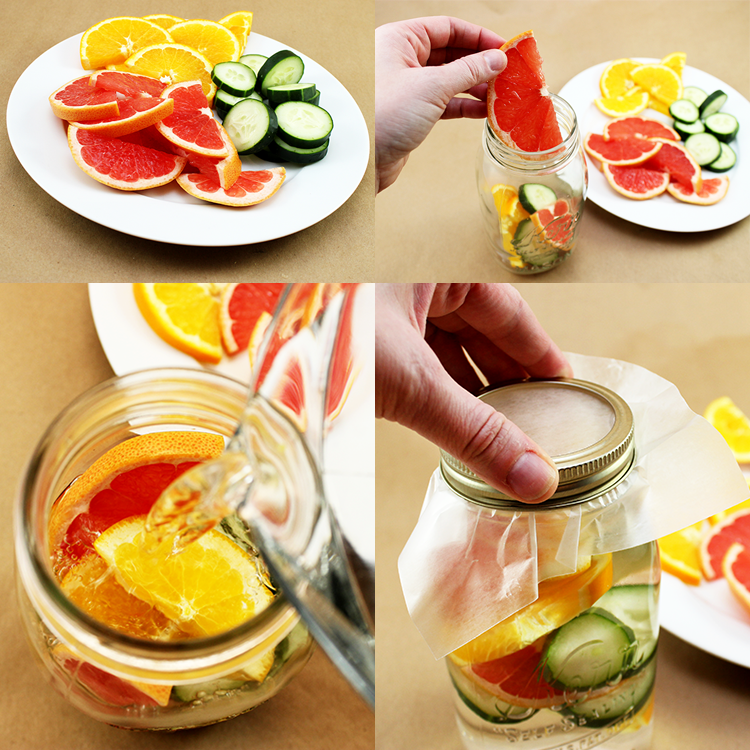 Then, cut your fruit into sizes that are small enough to fit into your water container. You can leave the peels on the citrus and the skin on the apples and cucumbers. If you want the most flavor possible out of your fruit combinations, slightly crush your fruit with a wooden spoon after you’ve added it to your water container. 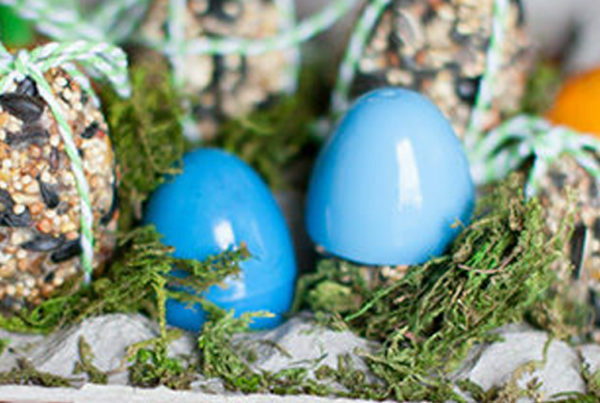 This is especially helpful with berries and citrus fruit. Next, just add water! The kind of water you add is up to you! Fancy bottled water or straight from the tap, the choice is yours. 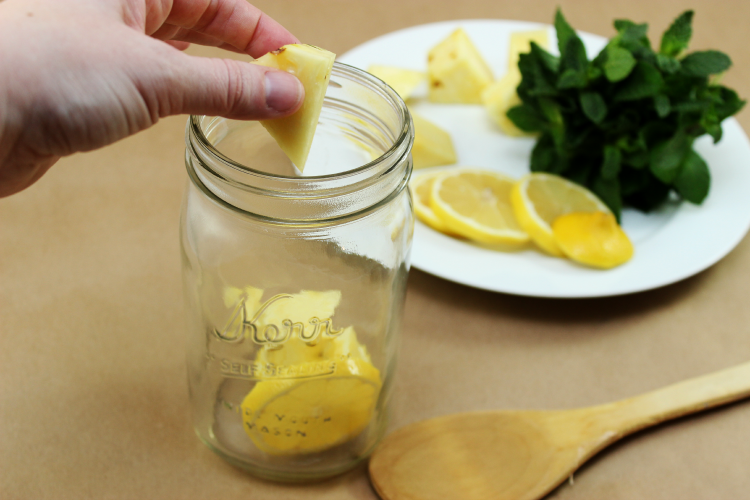 Last, if you are using mason jars you can cover the opening in the jar with a square of wax or parchment to help keep the air out and the nutrients in. 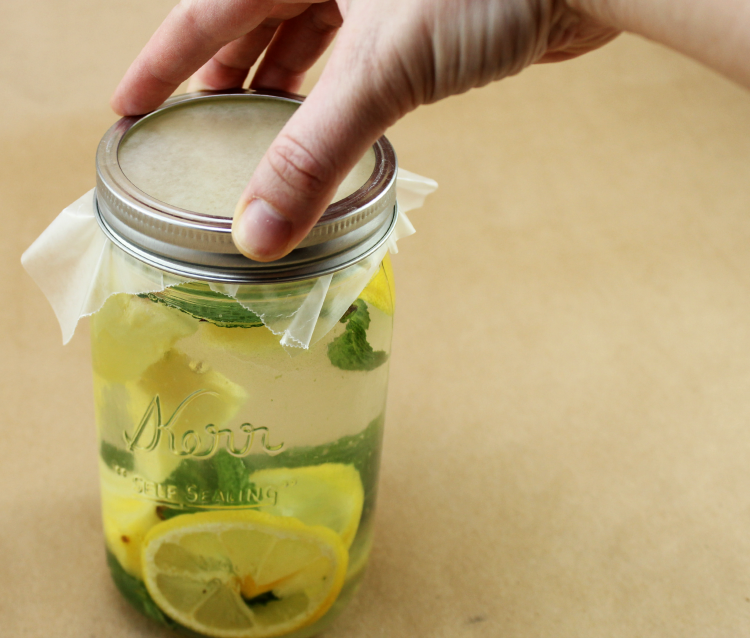 Allow your water to sit from a few hours to overnight. 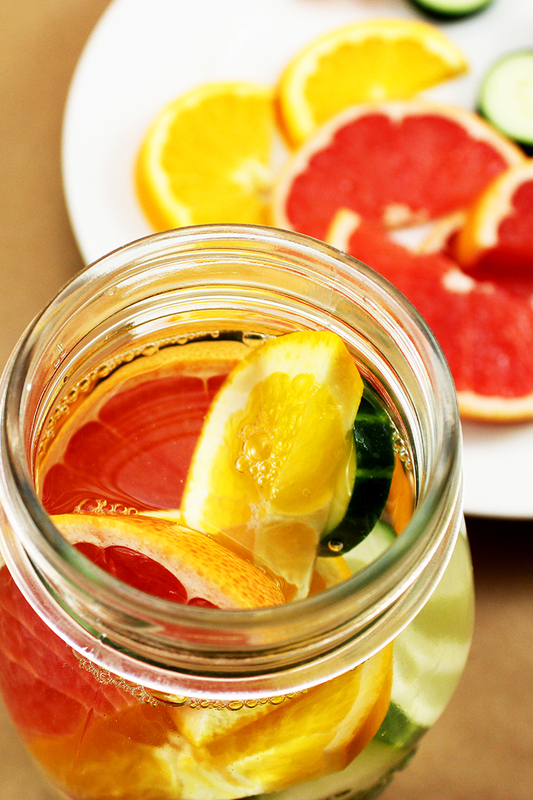 The longer you let your detox waters sit, the stronger your flavor will be. And then, drink up! Once you’ve consumed the water inside your container, you can refill with more water 2-3 more times using the same ingredients! Thanks for hosting girl! Have a great week! Happy 2015! 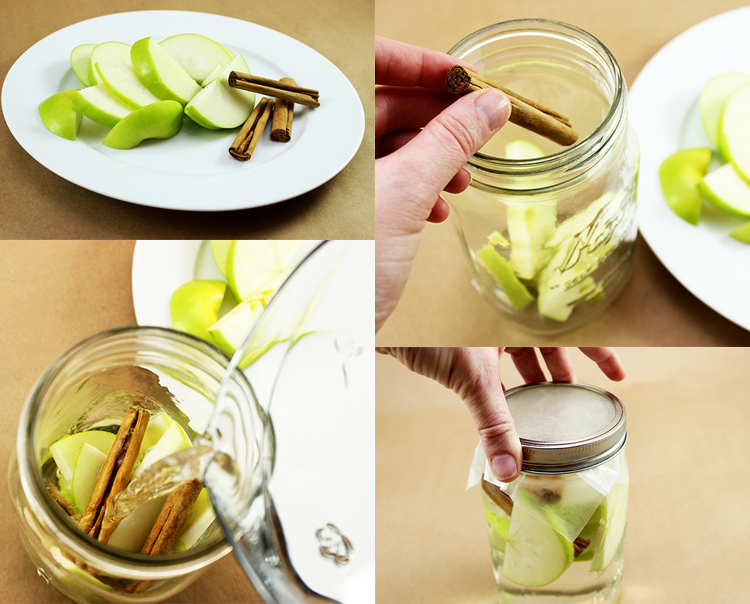 I love your Detox Water recipes. 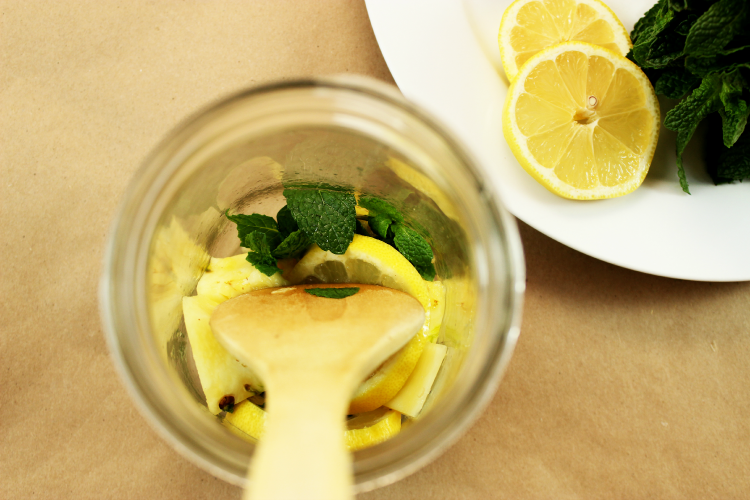 I make lemon infused water daily. Now I will try these as well. Love the ideas of detox waters. 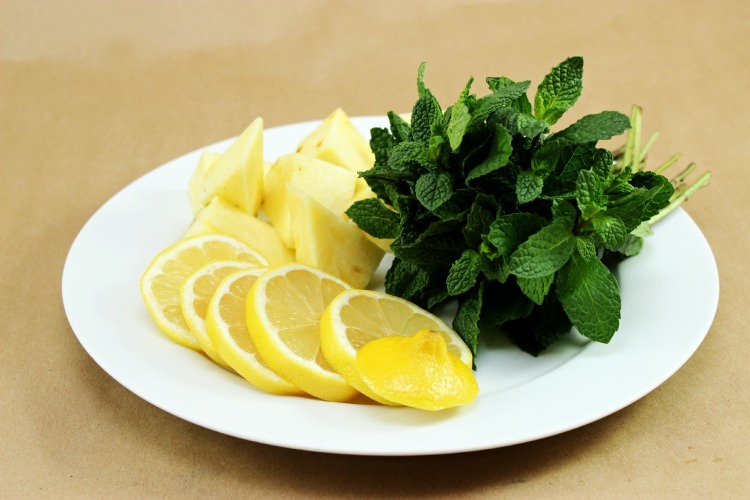 I haven’t done this – I just drink water…but it looks delish! These waters look delicious! I love DIY link-ups as well, I always get such great ideas! 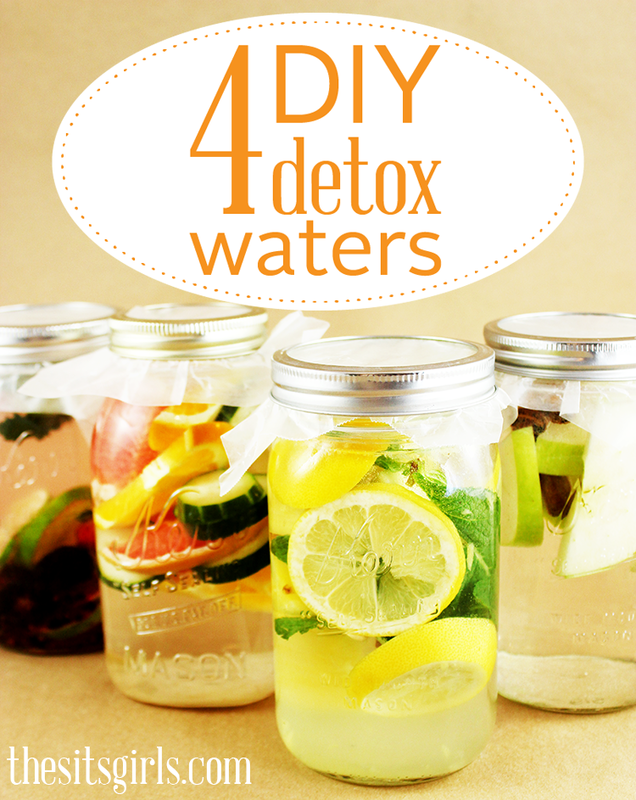 Those detox waters are such a great idea, especially with Summer here and the temptation for soda all the time!